Other sites cutting writers to pivot to video sparked The Athletic to raise more funds and bring in laid-off writers. There’s been an endless round of cuts of sportswriters recently, from Bleacher Report to ESPN to Sports Illustrated to Fox to Yahoo to Vocativ to Vice, with many of those companies talking about “pivoting to video” (something which also happened with layoffs of writers at MTV). That’s interesting when you consider that a lot of short videos out there aren’t actually being watched, and that there’s been plenty of public backlash in favor of written content and its advantages (consuming at work or in other situations where sound isn’t possible, consuming at your own pace, ease of consumption on mobile devices, etc). 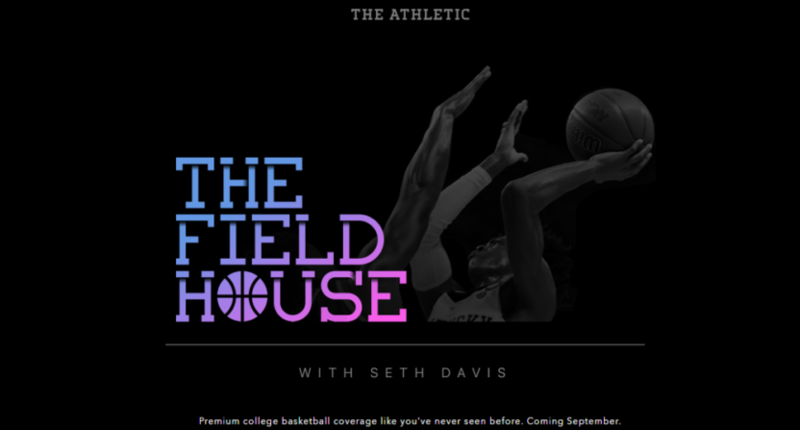 Subscription sports site The Athletic is gambling that they can take advantage of this desire for written content and of other sports organizations moving away from it, raising more money to scoop up laid-off writers and editors and launch new city-specific verticals plus national sites; Bloomberg’s Joshua Brustein has more on that. Mather and Hansmann are following the well-worn entrepreneurs’ credo to zag when everyone else is zigging. For publishers, the promise of the internet has been the potential for immediate global reach. In theory, huge audiences can be translated into massive ad revenue. The Athletic, based in San Francisco, isn’t chasing that kind of scale. Instead, it charges subscribers $40 annually for in-depth coverage of local sports in Chicago, Cleveland, Toronto and Detroit — (it also covers the Golden State Warriors). The company says it can can turn a profit in a city once it gets between 8,000 to 12,000 subscribers. It has no plans to sell advertising. Peeling away sports from other local news coverage seems like a particularly good target for a subscription business, according to Brian Moritz, an assistant professor at SUNY Oswego who studies the economics of sports journalism. “Nobody has ever offered a subscription to just the sports section of the newspaper for $5 a month instead of the whole thing for $10,” he said. The challenge for the Athletic, he said, is in convincing readers that it’s making something good enough to justify the pricetag. The idea of a just-sports publication has been tried before too, such as with SI itself or with Frank Deford’s short-lived The National Sports Daily (which might have done far better in the digital age), and local subscription sites have been tried before too outside The Athletic (such as Dejan Kovacevic’s DK Pittsburgh Sports, or Greg Bedard’s new Boston Sports Journal). And it’s worth noting that people have been willing to subscribe for premium sports content, especially for college football recruiting sites like Scout, Rivals and 247; those sites are hitting somewhat different markets, but have the same basic principle; pay for something you can’t get elsewhere. Free local hubs have been tried too, but generally with less success (such as ESPN and SB Nation’s local verticals). However, it’s not hard to see the opportunity for The Athletic at the moment; with so many other sites cutting, there’s a huge amount of writing talent out there, making it a buyers’ market. The sites also will try to convince people to pay for content. After an initial period where the sites’ content will be available for free, most eventually will move behind a paywall. Mandel and Davis both cited companies as diverse as Netflix and Spotify to show that consumers are paying for content on the Internet. The big question is about profitability, though. Yes, The Athletic has plenty of money to work with right now; they raised $2.1 million in funding in a round that ended in February, and then brought in this $5.8 million. They have big backers, including The Chernin Group (which has a majority stake in Barstool Sports, and is also invested in the likes of Pandora and Flipboard), Courtside Ventures, and YCombinator, and there are a lot of firms betting they’ll succeed. But Brustein mentions that Toronto (with over 10,000 subscribers) is the only city where The Athletic currently turns a profit. Of course, this is still pretty early days for the network, and they have significant capital, and may gain more attention and subscribers once they launch their national site. We’ll see if this big bet will pay off in the long run.